Updated 3/1/18. FACT: Healthy, clear, and beautiful skin starts with good habits. It’s the smart choices you make throughout the years that add up and pay off. What people usually get wrong is thinking the fate of their skin’s future is all based on genetics. While we are genetically programmed from birth to age a certain way (called intrinsic aging), genetics are now only thought to be responsible for 20-30% of aging. The other 70%-80% is up to you. Caring for your skin the right way, day in and day out, is essential. My 34 expert skin tips will make a world of difference if you follow them faithfully. 1. Never, ever use a bar of soap on your face or any cleanser that leaves your skin feel drying. 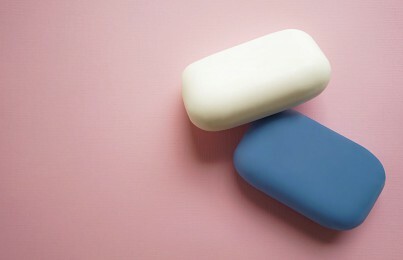 The binders that hold a bar of soap together are in an alkaline base (high pH balance). This strips all the water and natural oils from the skin, causing the skin’s surface to dehydrate. Your skin cells need moisture in order to be healthy. Without water, acne, sensitivity, and dry skin become aggravated and worsen. Even if the manufacturers of the soap claim it’s moisturizing, it will still strip the skin, no matter what. The rule for any cleanser is: More lather, more drying. Less lather, less drying. So, when choosing a cleanser, always look for the words ‘sulfate-free’ on the bottle. This implies that harsh detergents were removed from the formula so it’s safer and gentler for your face. My very favorite recommendation for super-sensitive skin is Moisture Protecting Cleanser (it is SO GOOD!) but I have many other non-drying, sulfate-free cleansers for the various skin types. 2. Avoid using toner that contains SD Alcohol 40 or Denatured Alcohol. Many people like the clean and tight feeling associated with using alcohol on the skin. Unfortunately, though, alcohol strips the skin of water. This, then, results in dead cell buildup and dullness. Trying to dry oily skin with harsh ingredients like alcohol actually has the opposite effect. As a reaction to the drying ingredient, the skin increases oil production as part of its healing and balancing processes. Toners without alcohol are very important for removing drying chlorines, salts and minerals found in tap water. Think of a toner as the rinse cycle for your skin after cleansing. Make sure to use a toner both morning and night after cleansing. Check out my recommendations for alcohol-free toners. Pro tip: Always leave your toner damp before applying your serum or moisturizer. This helps seal the toner’s hydrating benefits deep into the skin. Also, using these Toning Cloths will help you maximize your toner. They absorb far less than traditional cotton balls and pads, resulting in less product waste. 3. Be mindful of how you sleep on your pillow at night. This may come as a surprise, but did you know the second cause of wrinkles is sleeping? After sunlight/UV exposure, squishing your face into a pillow for approximately 2,500 hours per year while you sleep is like ironing wrinkles into the skin. If you’re someone who wants to prevent premature wrinkles on your face, you might want to consider giving serious thought to how you lie on your pillow. Here’s how I sleep. 4. Get regular professional treatments from a trusted skincare expert. It’s a fact that a proper home care routine is essential in keeping your skin healthy and looking beautiful. However, when your home skincare products aren’t giving you the results you want, it’s time seek a professional’s help. As the skin ages, circulation and metabolism slow down, resulting in dull, tired-looking skin. One of the benefits of a facial is that it increases circulation, resulting in healthier, glowing skin. Additionally, deep pore cleansing facials are a must for controlling clogged pores and breakouts. 5. Always choose products recommended for your skin type. 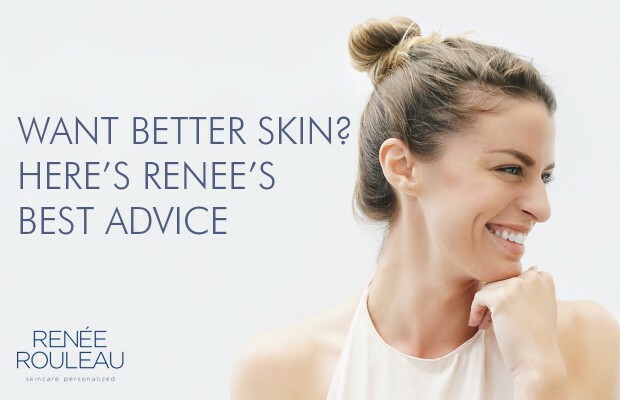 Your friend may tell you about some fabulous product that she loves or you’ll read in a magazine about a product that a celebrity uses, but that doesn’t mean it will work for your skin. The main reason you may not show improved results is that they aren’t suited to your skin’s specific needs. If you’re still buying products based on the basic dry, normal and oily skin types (and your skin is anything but that! ), take this Skin Type Quiz. It will help you learn what your skin really requires for it to look and feel its best. 6. Exfoliate regularly with an acid-based exfoliator. Studies show that exfoliation from acids like glycolic, salicylic and lactic is extremely beneficial for reducing the appearance of past sun damage, smoothing and softening the skin, clearing clogged pores and increasing cell turnover rate (which slows with age). Other exfoliants try their best, but these acids work deep within the pores to deliver amazing, visible results. The word “acid” can sound scary, but there are many gentle formulas available. The right formulation for your skin will deliver results without causing redness or irritation. See this collection of gentle acid serums, and be sure to use them as directed. Confused about exfoliation? Here’s everything you need to know. 7. Up your preventative strategies so your skin can age in a healthy way. Now more than ever, there is so much awareness about preventing the appearance of lines, wrinkles, and loss of tone. Often, though, people are confused about where to start. Read my Beginner’s Guide to Anti-Aging. 8. If you have acne-prone skin, limit the use of products designed for problem skin. Sounds weird, right? Let me explain. A skincare line geared towards acne is designed to fight bacteria and dry up breakouts. For someone whose skin is covered in severe acne (like, perhaps, a teenager) this may appropriate. However, for most people who get some breakout activity (but not on the majority of their face), acne products can worsen it. These products can be extremely drying. Although they will help dry and heal breakouts currently on the skin, they will also over-dry other non-broken out areas. This results in dry, dead skin cell buildup. This new cell buildup then acts as a barrier, trapping oil under the skin causing more clogged pores and breakouts. So your effort to clear up your skin may actually cause you to break out more! The most important steps for controlling clogged pores and breakouts are to exfoliate with a salicylic acid product (I recommend BHA Clarifying Serum) and to keep the skin hydrated and balanced. Salicylic acid will effectively penetrate the pore lining to reduce acne-causing bacteria. It also prevents dry skin cells, which reduces clogged pores and smoothes the skin. This amazing ingredient is also found in Rapid Response Detox Masque. It’s very effective for PREVENTING breakouts. Exfoliation also helps fade red, post-breakout marks, resulting in more even-toned skin. 9. 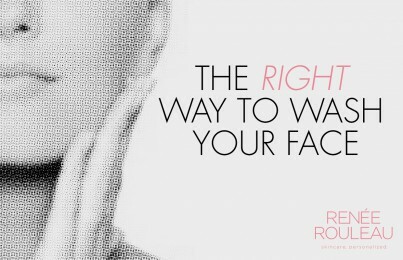 When considering getting Botox or fillers, make sure you’re doing it for the right reasons. Many people quickly resort to getting cosmetic procedures after looking in the mirror and getting frustrated with how their skin looks. It’s very important, however, to make an educated decision before you take the plunge. Read this. Of course, all of the products in the Renée Rouleau line DO NOT use any of these ingredients. 11. Avoid dairy products if your skin is prone to breakouts. Many people have heard that greasy foods and chocolate cause breakouts. In my experience, when the breakout is cyst-like in the chin and jawline area, most often it is related to too much ice cream, yogurt, milk and/or cheese. Try cutting dairy out of your diet for three weeks and see if there’s an improvement. Use Anti Bump Solution to help manage stubburn cystic bumps and breakouts. 12. Wear a sunscreen in your moisturizer daily, 365 days a year, rain or shine, inside or out. Studies indicate that 78% of sun exposure is incidental exposure. You may say, “I’m not out at all during the day.” However, just walking to your car, driving, and sitting in your house next to windows can result in unnecessary sun damage from wrinkle-causing UVA rays. And we know that sun exposure is the #1 cause of aging! If you want to prevent wrinkles and skin cancer, use a minimum of SPF 30 every day, all year round. Weightless Protection SPF 30 is great as a daily moisturizer because it’s so lightweight and won’t clog pores or cause breakouts. 13. Give yourself regular mini facials at home. Simultaneously take some “me time” and condition your skin. At-home facials can reveal softer, clearer, smoother and younger-looking skin. Doing so can truly give your skin extra results, above and beyond your normal skincare routine. Cleanse skin to remove all traces of makeup, then exfoliate with a mild facial scrub. Apply a hydrating serum and seal it in with a nourishing facial mask. Run warm water in the tub, sprinkle in some mineral bath salts, light a candle, play soft music and create your own spa at home. Your skin loves the attention and your mind loves the relaxation. Read how to give your skin an at-home facial. 14. Use a retinoid or retinol product at night. Aside from sunscreen, the best, scientifically proven ingredient for smoothing the skin’s texture and lessening lines and wrinkles is retinol. It’s stronger counterpart is a prescription retinoid like Retin-A, Retin-A Micro, Differin, Renova or Avita. If your skin is sensitive or you are new to vitamin A, start with Advanced Resurfacing Serum. It’s never too late to start using retinol; if you’re not already using one you definitely need to. New to retinol? Here’s everything you need to know to get started. 15. Be cautious when using a daily sonic cleansing brush, like Clarisonic. Clarisonic is a skin care tool sold at specialty beauty stores. It uses a soft, gentle brush that oscillates back and forth over the skin. It’s promoted as a tool that “removes six times more makeup than cleansing by hand.” Yet to me, the Clarisonic brush is really just an exfoliating tool designed to physically lift off dry skin cells and, in the process, remove dirt and makeup. Exfoliation is the action that the bristles create when rubbed over the skin. My problem with Clarisonic is not the brush itself because there are certainly benefits to regular exfoliation. My concern is how often the company recommends using it. They say it’s gentle enough to use twice daily, but it is my belief that this is way too much when combined with other exfoliating products you are probably already using. While it may feel gentle enough to use twice a day, you have to understand how exfoliation affects the skin. The Clarisonic brush, facial scrubs, acids, enzymes, peels or whatever you use to exfoliate with can cause skin damage and even premature aging if used too frequently. I have seen so many people with irritated, dry, pigmented or broken out skin from using a sonic brush twice daily. Read my full review of the Clarisonic. 16. Always wash your face in the morning. I’m sure you all know the importance of washing your skin before bed, but many skip the step in the morning thinking their skin is already clean and free of makeup from the night before. The reason why it’s imperative to cleanse in the morning is that while you sleep, your skin is in repair mode. It secretes toxins and sebum (oil), which can prevent your daytime products from working most effectively. When you wash your skin in the morning, you’re removing those toxins and sebum. Furthermore, you’re removing your nighttime products so that your daytime products (particularly SPF moisturizer) can be more effective. Finally, nighttime products often contain ingredients (such as acids and retinol) that are suitable for night, not the day. These should be cleansed from the skin to avoid any reactions or potential irritation. While washing your face in the morning may seem like just another tedious task in your daily routine, know that it is a key step in ensuring healthy, beautiful skin. 17. Use a skin oil to treat dry skin from climate and airplane travel. It’s a fact that dry, dull and flaky skin can be caused by airplane travel, retinoid use, rosacea, eczema, sunburn, windburn, winter, dry climate, Accutane, and excessive exfoliation. Why does dry skin occur? Your skin has a moisture barrier made of natural lipids that keep moisture in the skin and irritants out. When this barrier is damaged, it creates tiny, invisible cracks in the skin that allow moisture to escape. This results in dry, dull, and flaky skin. Additionally, irritants can enter more easily, making skin red and sensitive. Adding a skin oil to your routine will effectively repair your skin’s moisture barrier. It keeps the skin moist and healthy-looking, especially during the winter. 18. Hang your head upside down for three minutes a day to increase circulation in your face. We all want glowing skin. In fact, one of my most common client questions is, “how do I get my skin to glow?” While the definition of glowing skin can differ for everyone, I tend to think of glowing skin as skin that has good blood flow. This brings out an inner radiance. Did you know that when the skin ages, less oxygen, and nutrients are delivered to it? For example, by the time you reach 75, you have about 50% fewer blood vessels in your face. Fewer vessels mean less nutrient-rich blood and oxygen is being brought to the cells of the skin. This results in dull, tired-looking skin. If your skin doesn’t already have a natural pinkness, a long-term strategy is to hang your head upside down for three minutes per day. You can do this up against a wall or during a Downward Dog in yoga. What I do is simply hang my head over the side of my bed. You should notice that after three minutes, a slight redness will appear on the skin. In the long run, this can really make a big difference in appearing “lit from within” and getting and keeping an inner glow. Read tips to get brighter-looking skin. 19. Avoid using cleansing wipes. In the past few years, cleansing wipes have become popular for quickly and easily wiping away makeup without having to deal with water or washcloths. You simply wipe and go. While they certainly are convenient, are they good to use on your face? No. I believe they are not the best choice for healthy skin. Why? Cleansing wipes don’t effectively clean the skin. Instead, they just smear dirt, bacteria, oil, and makeup across it. Essentially it is like applying cleanser to your face with soap then not washing it off. Cleansing agents are designed to break down debris, but it’s the rinsing action from water that actually removes it. Instead, I recommend using a gentle, sulfate-free, low-foaming cleansing gel or a lightweight cleansing lotion to wash the face. See my cleanser recommendations. After cleansing, wipe the skin with a baby washcloth or facial sponge. Clean skin is healthy skin. Be very meticulous about cleaning a day’s worth of makeup, dirt, and bacteria from your skin so you can get the best results from serums and moisturizers applied afterward. If you really must use a wipe, limit use to rare occasions. No wipe will ever be as effective as a proper cleanse. Pro tip: Wipes ARE okay for removing eye makeup, like eyeshadow and mascara. Since you should wash your face with water after you remove makeup, this rinses off any residue. And remember, you should always leave eye makeup remover on the eyes for 20 seconds to properly dissolve makeup. This eliminates the need for unnecessary rubbing and tugging. This can irritate the eyes and wear and tear on the skin’s elasticity. 20. Take care of the skin on your neck and chest. The sides of the neck and the chest get incredible amounts of sun exposure and are often neglected. Be sure to use all of your skin care products on this area. Read more neck and chest tips. 21. Avoid yawning to prevent under eye puffiness. If you stay up past your usual bedtime, chances are you’ll be yawning more. Yawning encourages your eyes to water, which creates swelling and puffiness both at night and in the morning when you wake up. This excess fluid around the eyes weakens the elasticity of the surrounding tissue, causing an acceleration of wrinkles. The loss of elasticity is like a rubber band that’s been stretched repeatedly—at some point, it doesn’t snap back anymore. This is what happens to the eye area. So before you stay up past your bedtime to watch that last show or to read just one more chapter, consider the side effects. This is just one more reason to get a good night’s rest. It’s called ‘beauty sleep’ for a reason! 22. Don’t skip moisturizer at night to let your skin “breathe”. A common misconception is that you should (occasionally) avoid using a nighttime cream to let your skin breathe. This is a myth and is a bad habit for two reasons. Your skin doesn’t perform the function of respiration, so the concept of your skin breathing is false. Your skin is in its reparative state at night. While you sleep, it’s not exposed to the environmental stressors that age the skin, making this an ideal time to use performance ingredients. Performing your nighttime specific routine—including using moisturizer—can really help repair skin and control how quickly it ages. At bedtime after cleansing and toning, apply a moisturizer, 365 nights a year. 23. Take Vitamin C orally to prevent fragile capillaries. Oral Vitamin C is essential for skin and body health. Did you know that the added benefits of bioflavonoids may help with fragile blood vessels and prevent bruising? As we age, capillary walls weaken and start to permanently dilate. This makes them more visible on the face, especially on the cheeks and around the nose. Bioflavonoids help strengthen blood vessels and capillaries internally so that they don’t break or dilate as quickly. As an esthetician and someone who prioritizes caring for my skin, I personally take one 1,000 mg vitamin C capsule with bioflavonoids in the morning with breakfast and again with dinner, every single day. I have fair skin and am prone to visible capillaries. That makes this an important part of my daily routine to maintain even-toned skin. 24. Get your adult hormonal breakouts under control. Of all the types of blemishes, the ones caused by hormones and “that time of the month” are the most challenging. There is hope, though, I promise. Read how to prevent adult hormonal breakouts. Need tips for controlling teen acne? Read this. 25. Get at least 7-8 hours of sleep a night. There is no doubt that getting enough sleep every night can offer many skin benefits. Research supporting this is crystal clear. Sleep (or lack thereof) affects every aspect of your health, well-being, physiology and both physical and mental performance. It’s essential, not just for tissue repair and regeneration, but also to maintain a strong immune function (this is needed to fight off acne). When our bodies are under tremendous stress and fatigue, sleep can make a huge difference. Sleep can also reduce dark circles; a lack of sleep compromises your body’s circulatory system. Blood stagnates in the vessels under the eyes because they haven’t properly drained. Impaired circulation also causes the skin to look pale and tired. Finally, it’s important to get a good night’s sleep because sleep deprivation also causes stress. Stress can aggravate all skin conditions, including acne, eczema, and psoriasis. I started using a fitness tracker that also monitors my sleeping patterns. It’s great for keeping me focused on getting my beauty rest. Got dark circles? Use Vitamin C Eye Brightener. The number one cause of premature aging (wrinkles, lines, and sun-induced brown spots) is UV exposure from daylight and sunlight. Thus, it’s imperative to protect your skin every single day with sunscreen. This is simply the very best way to slow skin aging. But is applying a moisturizer with sunscreen daily (under your makeup) going to give you all-day protection? I think not. The problem: Many sunscreen formulas degrade with exposure to UV light. Furthermore, the skin’s natural sebum (oil) can cause sunscreen to break down. There’s always a good chance, too, that you did not apply sunscreen generously enough in the first place for it to offer full protection (most people don’t). Therefore, it’s likely that your sunscreen is not protecting your skin all day. This presents a huge problem. The solution: Reapply your sunscreen every few hours. This is certainly the best solution, but it is often not convenient to do so. Are you supposed to wash your face, reapply sunscreen, reapply makeup and repeat this every two hours during the day? This is definitely not practical. The fastest, easiest, and most effective way to ensure that your skin is protected all day is to dust the skin every few hours with a good mineral powder formulated with sunscreen. These are considered “dry” sunscreens that make reapplying very simple. Many companies now make mineral-based, SPF-infused powders so they are not hard to find. 27. Don’t pick at your skin. Picking at your skin, specifically, your blemishes is a serious problem for many people with acne. I know firsthand what picking is all about. I myself am a former picker—I admit it. I’ve always said that I went into this profession so I could do what I love—picking! And I justified my own problem by saying, “I’m licensed. I know what I’m doing.” Luckily, I finally had the self-discipline and gave up picking in 2001 (as a New Year’s resolution) and my skin has never been happier (although I do have occasional moments of weakness). Commit to keeping your hands off your face by signing my No Picking Skin Contract so you can have clearer, less-scarred skin. Give it a try! Download a free printable PDF here. Read more of my no-picking tips. 28. Use an eye cream . The eye area has virtually no oil glands. Therefore, it’s the first area of the face to show aging from facial expressions like squinting and smiling. It’s essential to protect this area with a well-formulated eye cream. Read five things to know about eye creams. 29. Change up your skin care products in the morning and night. It is imperative for your morning skin routine to differ from your nighttime skin routine. The reason why is that your skin has different needs during the day versus when you are asleep at night. During the day, your skin is in a high level of stress. It’s exposed to makeup, excessive oil production, dirt, bacteria (from touching your skin all day with or without realizing it), UV exposure, pollutants, and other environmental elements. Because of this stress, harmful free radicals damage skin cells and cause wear and tear to collagen and skin cells’ DNA. In the morning, use products that properly defend and protect skin. A potent antioxidant serum like Vitamin C&E Treatment helps control these stressors. You also need a good sunscreen moisturizer to protect skin from damaging UV rays. Read step-by-step instructions for the perfect morning routine. In the evening, your skin is not exposed to the environment. The focus, instead, should be on hydration, repair, and nourishment. This helps keep the skin’s moisture barrier intact, thus helping it retain proper moisture levels. Your skin cells are like fish—they need water to live. 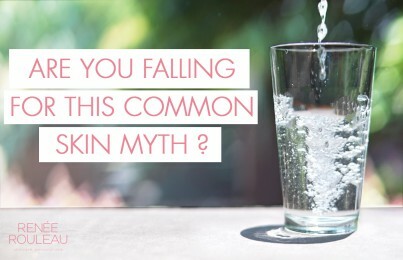 When they do not have the hydration they so desperately need, your skin will not look or act its best. Also be sure to use serums with retinol, peptides or glycolic acid to repair and smooth the skin and encourage healthy collagen production. Read step-by-step instructions for the perfect nighttime routine. 30. Learn how hormones affect the skin through the ages. Estrogen is very involved in the normal function of the skin. Depending on age and genetics, estrogen directly affects cells’ functions which can respond favorably (like decreasing breakouts) or unfavorably (like creating brown spots). Read more about hormones and how they affect your skin. 31. Avoid drinking out of straws. Just like squinting the eyes when smiling or laughing, repeated facial expressions and movements break down collagen and elastin fibers. When drinking out of a straw, you have to purse your lips. This causes unnecessary lines and wrinkles around the mouth. Drinking from a narrow bottle may also do the same. I recommend that you drink from a glass instead. This prevents your mouth from having to purse so tightly. Note: I know that dentists suggest drinking out of straws to prevent liquids from staining your teeth, so this is a choice that you have to make for yourself. I think it’s far easier to bleach your teeth with an at-home whitening system than it is to slow wrinkles. 32. Keep a calendar to possibly find the cause of your breakouts. For three months, record your daily life on a calendar. While you can use your phone to keep daily notes, I do suggest you transfer them on to a month-view calendar. At the end of a month, being able to see the entire 30-day period at a glance will allow you to look for any possible patterns. Read more. 33. Adjust your skin care routine seasonally. Your skin acts differently from summer to winter. The best strategy for healthy, beautiful, problem-free skin is to adjust your home care routine to suit your skin’s needs each season. In winter, the skin produces less oil. Many skin types need to add oil back to the skin to maintain its balance. In the summer, there is more humidity in the air. Dryness is less of a concern, but breakouts may increase. Aside from a change of seasons, medication, extreme stress, hormonal shifts and moving to a new city or country can all affect your skin and how it behaves. At times, it might be difficult to determine what is causing changes in your skin because they’re often gradual. The best and easiest way to address skin type changes is to seek and esthetician’s professional help. Don’t go it alone when it comes to your skin’s changing needs. It’s best, instead, to get help and be certain your routines and products are appropriate for your skin type. 34. Find more solutions to your skin care problems by reading my blog. Thank you for the great tips. Before land, to your post, I am already using a natural product of Annimateo. It’s suited to my skin and working better. I will follow your tips for better result. Hi. Is it weird for clay mask to contain titanium dioxide? I wonder if it’s ok to use it at night because of the sun protection ingredient. Titanium dioxide can be used to lighten up the clay ingredients. It’s a mineral and it’s normal. AS YOU MENTIONED TO DRINK LEMON WATER EARLY IN THE MORNING,IS IT GOOD TO DRINK AT NIGHTS BEFORE GOING TO BED? You certainly can but the general idea is that it’s best to drink with an empty stomach. I would highly suggest you start attending trade shows as they have classes designed to give you more knowledge about the skin. Congress of Estheticians, Face & Body are two good ones. Thank you Renee will look into that. Vitamin D won’t help with acne, for treating acne you need to be exfoliating and reducing bacteria topically from within the pores. I would suggest you start by taking our Skin Type Quiz to get products from our line. Also, I have a lot of great tips on our blog for acne here. Hi, i am just 12 and i am getting some sort of rashes on my skin and this causes that particular spot of skin to come off or become rough. Also, sometimes i get pimples and today i kept scratching one and then there is now a blackish circle on my skin and it looks weird. Can you please give me advice. The dark discoloration you see is damage from scratching at the blemishes so I suggest you don’t do that any longer. As for the rash, you’ll have to see a dermatologist to see what is going on.